There are so many tourist places in north east india. In this Article we just informing top 10 wonderful places to visit in North East India. Mainly Roaring waterfalls,ancient monasteries and mesmeric lakes. North East India, consisting of the seven sisters, is a scenic paradise. Nature has blessed this state generously, a fact testified by the verdant landscape that it is famous for. Here, the mountain peaks are shrouded by the dense clouds, which appear to whisper something to them. Visiting this part of India, therefore, brings its own delights. Roaring waterfalls, ancient monasteries and mesmeric lakes, there is much to enchant a visitor here. Then, there is the lovely weather to keep you company at all times. This blog brings you the top 10 wonderful places to visit in North East India. Pelling, located about 10km from Gyalshing (District Headquarter), offers splendid views of the Kanchenjunga and the surrounding ranges as well. One of the attractions here is Pemayangste monastery, less than a kilometer from Pelling. However, this place really comes alive during the annually held Khangchendzonga Festival, which witnesses fun events like white water rafting, promotional trekking, kayaking, flower exhibitions, traditional crafts and cultural folk dances. Tawang, perched at an altitude of 3,500m above sea level, is one of the most popular tourist places in North East India. It allures visitors with places of outstanding beauty like Tawang chu River, Tawang Valley etc. This place holds the annual "Losar" and "Torgya" festivals. 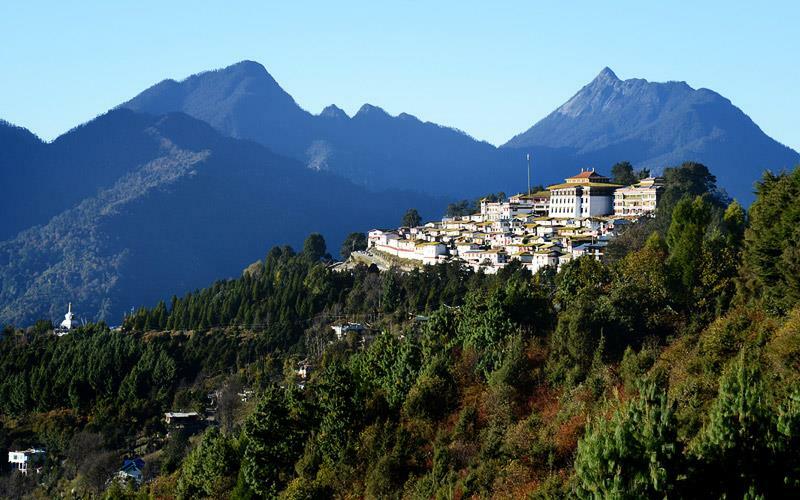 These festivals are celebrated on the premises of Tawang Monastery. Besides these, there are several glacial lakes here like Banggachang Lake and Sangetser Lake, among others. Ziro, located in the headquarters of Lower Subansiri district, is one of the oldest towns in Arunachal Pradesh. Located 1500m above sea level, this place is defined by its lush green forest, rivulets and elevated patches and is famous for its paddy and pisciculture cultivation. Wherever one goes, one's eyes meet the perfectly manicured terraced paddy fields. This lovely town is immersed in festivities during the festivals celebrated by members of the Apatani tribe. Dzouku Valley, located at the border of Nagaland and Manipur, is truly a natural paradise. What makes it a popular travel destination in North East India are its vast meadows carpeted with colorful dancing flowers, happily flowing streams, dense forests and quaint valleys. It's also known as the "valley of flowers of the North East". This place is characterized by its wonderful biodiversity, and is estimated to be anywhere between 2 to 4 million years old. Shillong, located at an altitude of 1,491m above sea level, is a repository of culture and natural beauty. Some of the attractions here are Lady Hydari Park, Ward's Lake, Cathedral Catholic Church etc. Capt. Williamson Sangma State Museum showcases the ethnic tribal culture and tradition of the state. This place is also home to scenic waterfalls like Elephant Falls, Spread Eagle Falls, etc. One of the greatest attractions here is the Golf Course. Set at an altitude of 5,200ft, it's covered with thick groves of pine and rhododendron trees. Cherrapunjee, also known as Sohra, is famous for receiving the highest rainfall in the world, and being home to several fascinating caves with unique geographical features. Some of the attractions here are Dain-Thlen Falls, Noh-Kalikai Falls and Mawkdok Dympep Valley View. However, the main attractions are the mysterious caves like Mawmluh Cave, Mawsmai Cave and The Lawshynna Cave. Of these, the Lawshynna Cave stretches to 1km in length, and is adorned with curious natural formations and carvings. Tsomgo Lake, seated at an altitude of 12,400ft, is one of the fascinating places to visit in North East India. The lake, which is renowned for its legendary beauty, derives its water from the snowy mountains surrounding the lake. 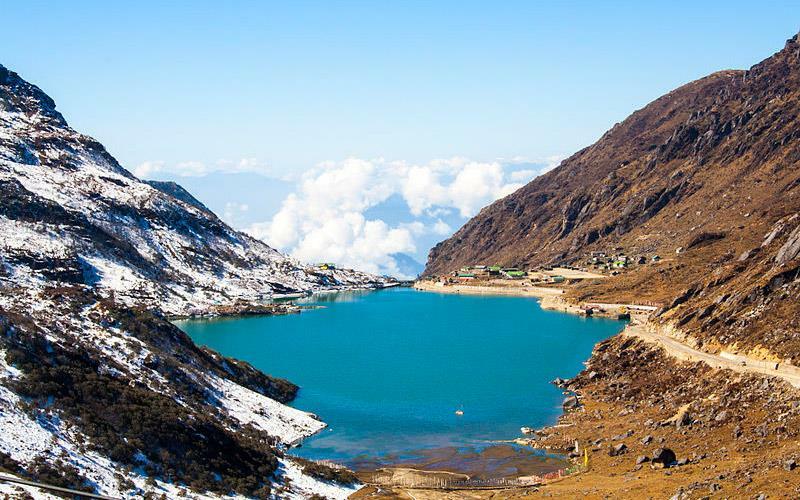 The lake, associated with several myths, is held by Sikkimese people as sacred. It holds a special significance for the Jhakris (faith healers) of Sikkim, who assemble here annually on Guru Purnima. Perhaps, any visit to North East India is incomplete without visiting Kaziranga National Park. A UNESCO World Heritage Site, it boasts two-thirds of the world's Great one-horned rhinoceros. This place also has the highest density of tigers in the world and was declared as a Tiger Reserve in 2006. Besides, it contains significant breeding population of 35 mammalian species, besides being home to two of the largest snakes in the world – Reticulated Python and Rock Python. Jampui Hill, the highest hill range of Tripura, is extremely beautiful and possesses a dreamy landscape. This hill range is inhabited by the Mizo people. Different seasons bring different charms for the visitors. During winters, this hill range takes on an orange colored hue, while during the rainy season, the entire place is covered by dense clouds. The highest peak of Tripura, known as "Betlingchhip", lies in this hill range. 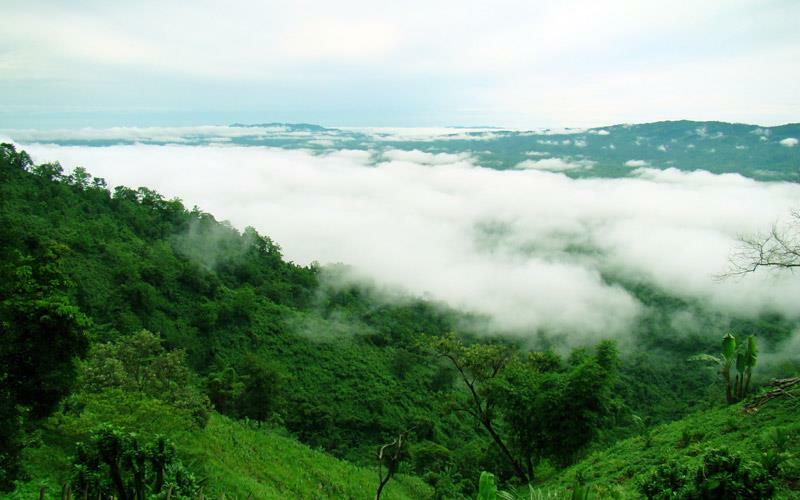 It offers wonderful views of the Mizoram, Chittagong hill tracts and other hill ranges of Tripura. 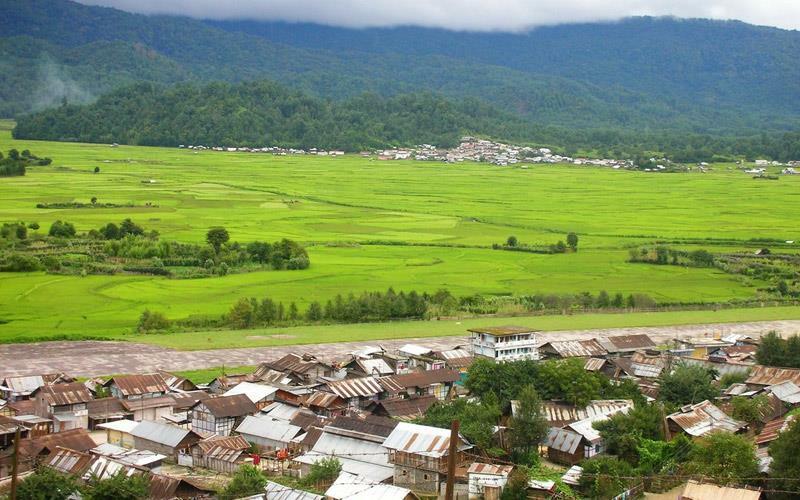 Bomdila, located at an altitude of 7,273ft, is one of the leading tourist destinations of Arunachal Pradesh. The tourist attractions here range from craft centers and monasteries to emporium and ethnographic museum. Bomdila Monastery is a particular attraction here, with the Temple of Buddha inside it attracting tourists in large numbers. This area is also famous for its apple orchards. 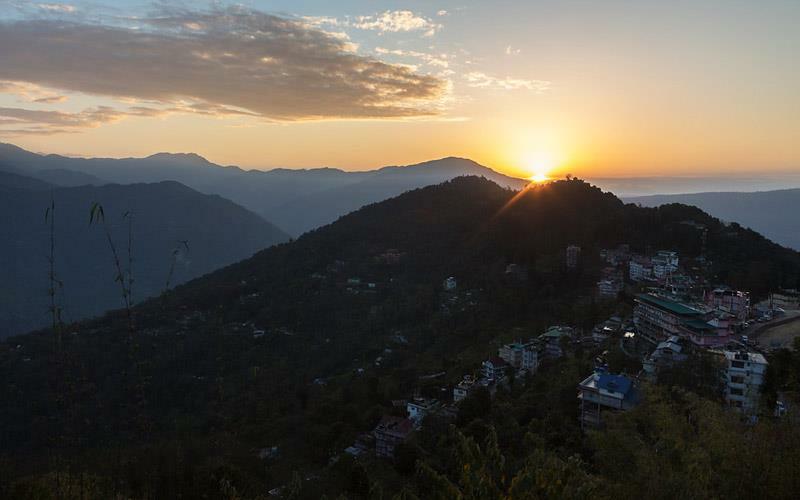 Bomdila View Point, the highest in the state, offers amazing views of the surrounding landscape. Thanks for sharing this information regarding the top 10 wonderful destinations in North East India. North East India seems to be a really fantastic destination with many places for traveling.